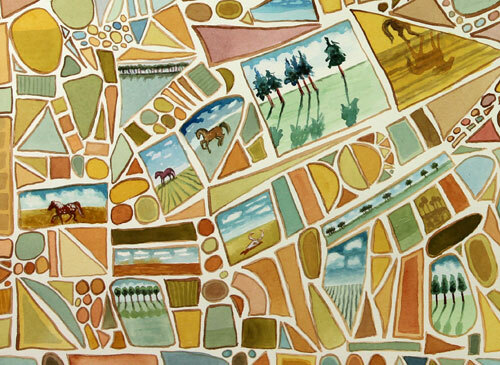 detail of Horse Views, a watercolor on paper (22″ x 30″), on display at the MAD Gallery, in Art Alley, Monroe, Louisiana. The MAD Gallery will be open for viewing Saturday, December 14th, 10am-10pm, in conjunction with the Very Merry Commander Christmas. This entry was posted in Uncategorized and tagged Art Pony, Artpony, equine art, Linda Kay Thomas, Linda Snider-Ward, Louisiana artist, paintings, the River Gallery, watercolor. Bookmark the permalink.